With Japan’s murder and crime rate being incredibly low, Japan is often named one of the safest countries in the world. Despite having a more or less peaceful population, there are other dangers luring in the land of the rising sun: it’s natural disasters! Judging from that point of view of “shizen saigai” (自然災害, natural disasters), Japan is surely one of the most dangerous countries in the world. Being infamous for earthquakes, mostly due to the strongest earthquake in 2011 in the Tohoku area, Japan constantly experiences earthquakes, even though most of them are not felt by humans. The 3.11. Earthquake was the most powerful earthquake ever recorded to have hit Japan. 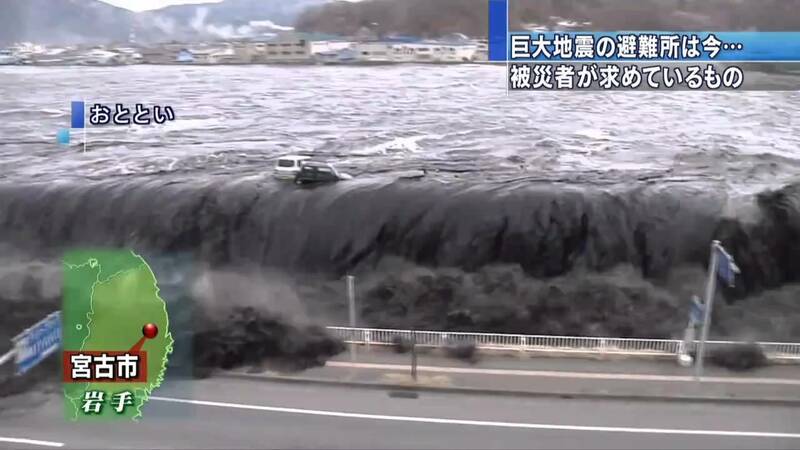 Tsunamis are monstrous waves that can be caused by undersea earthquakes. Particular coasts, beaches and nearby towns and cities are at high risk since Tsunamis have a wavelength that are usually hundreds of kilometres long. Every autumn is typhoon season in Japan. Different from the American ones i.e. name hurricane, typhoons have, generally, numbers. It is advised to stay home while a typhoon is approaching, to avoid casualties. Japan has numerous volcanos, some are dormant, some extinct and a few even active. The volcanic eruption of Mount Ontake (御嶽山, Ontake-san) on September 27, 2014, has killed 57 people. Floods come usually with landslides, mostly triggered by torrential rain. Usually affected areas are West-Japan, like Kyushu and Hiroshima during summer and autumn. Basically, there is no immediate danger in Japan. The country has high technology and is well prepared for most of the possible disasters. However, it is always good to keep an eye on Japanese news shortly before you plan to visit the country, just to be informed and hopefully prepared, if something has happened.